Nothing tastes better after a long day of playing summer sports than a sweet bowl of ice cream! 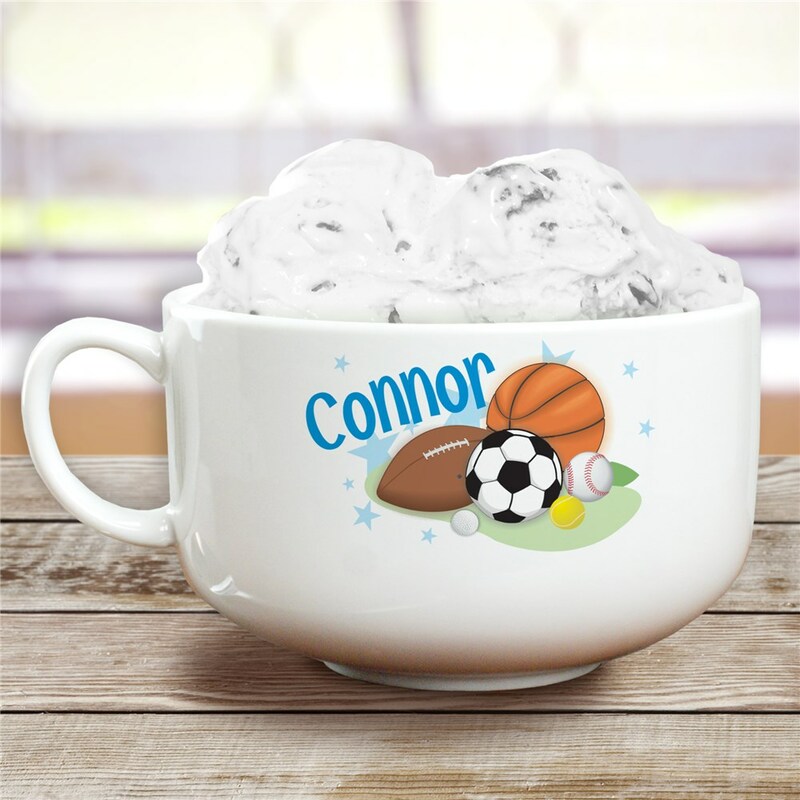 For the sports lovers on your shopping list, this personalized ice cream bowl would be the perfect housewarming gift. Your Personalized Ice Cream Bowl is a ceramic bowl that features a convenient handle and holds a generous 32 oz. of your delicious ice cream. Hand wash only. Each bowl measures 5 1/2" in diameter & 3 1/2" high. Free personalization of any name is included. My son is thrilled with the ice cream bowl and it seems to be very sturdy an well made. Received in good condition. Engraved as ordered. Very pleased. This is my 2nd year to order from your company. Let your family enjoy a sweet ice cream treat out of their own personalized bowl! This makes a great gift for just about anyone on your shopping list. Chili lovers might also love our Personalized Ceramic Chili Bowl.